This work and its dedication reflect the friendship between the French artist Carolus-Duran and Matías Moreno (1840-1906), which arose during their time as copyists in the Museo del Prado and continued when both artists spent time in Toledo. 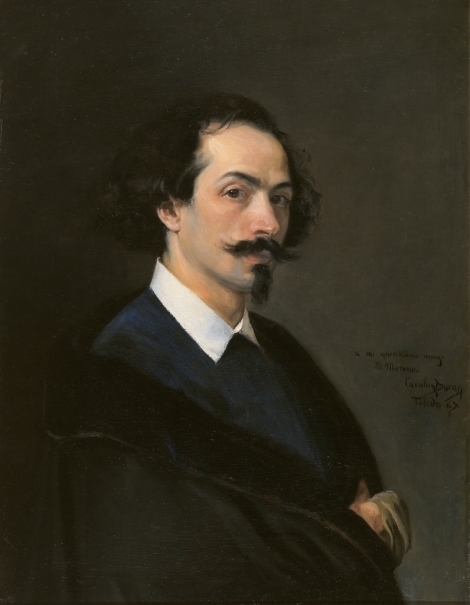 Carolus-Duran’s appreciation and study of Velázquez influenced the subsequent development of his work, which enjoyed enormous international success. Height: 81 cm. ; Width: 61.5 cm.